What's better, a laser mouse or a standard optical mouse? 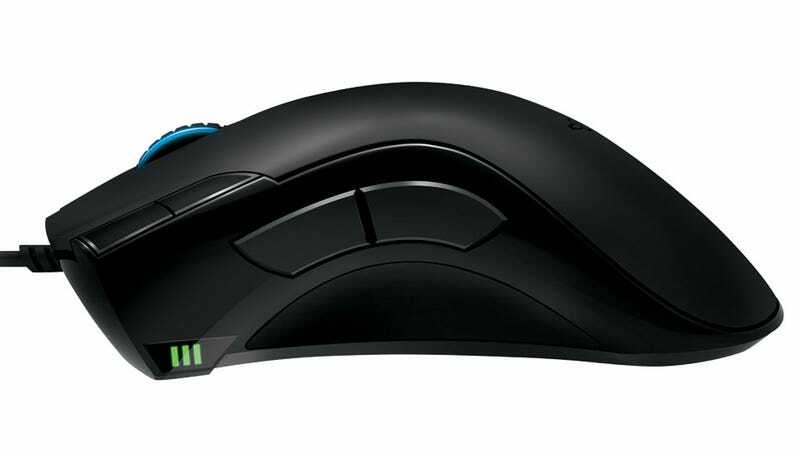 That's a question answered by Razer's new 4G Dual Sensor Technology, combining laser and optical sensors to create a mouse capable of tracking at 6400dpi. Dots per inch (or more accurately CPi - counts per inch) is the measure of the number of steps a mouse takes when moving one inch. The higher the number, the greater the precision, and Razer's new technology is showing off some truly impressive numbers. 6400DPi is more DPi than most of us will ever need, but to a professional gamer with snakelike mouse reflexes, it represents a true edge. "I'm really excited by the leaps and bounds we've come in developing the world's most precise and advanced sensor technology. We worked closely with many pro-gamers to fine-tune the sensor under intense gaming conditions, ensuring it achieved a level of tracking accuracy that met their high-level demands." said Robert "RazerGuy" Krakoff, President, Razer USA. "The mouse is core to any gaming setup. It's where our roots are, when we pioneered competitive gaming and developed the world's first gaming mouse. Today, it is still one of the key areas for our R&D and it's quite exciting to bring such a significant sensor evolution to gamers worldwide." All that tech and multi-color lighting as well? What more could a PC gamer ask for?